From a distance, the pagodas all looked the same. But the closer we came and the closer we looked, we could see they were actually all different. Their colour varied from pale beige to intense pink. Beautiful Buddha’s of all sizes were hidden inside. And many of them were decorated with the most amazing carvings of mythical figures. 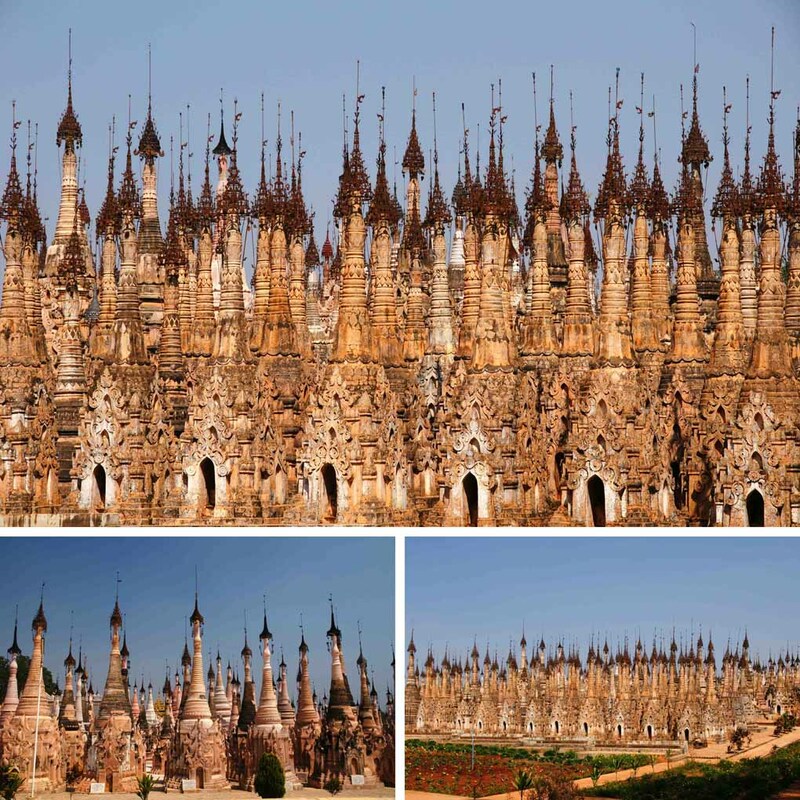 The remarkable stupa garden of Kakku, Myanmar is simply breathtaking. 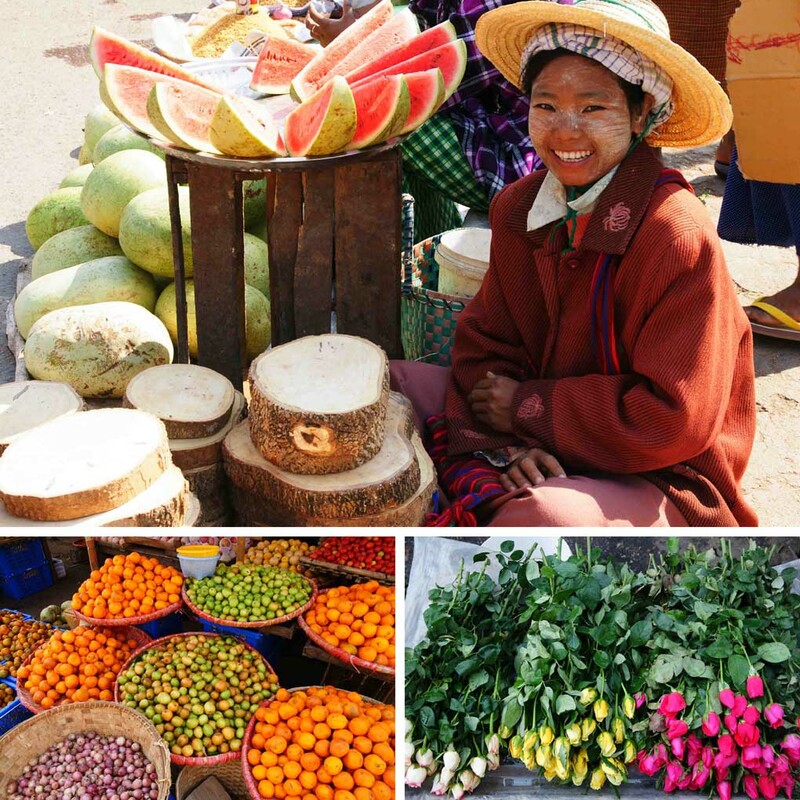 And the great thing is: you can visit Kakku as a day trip from the Inle Lake, and include the fantastic market of Taunggyi as well. We were in Myanmar in March 2010, so I have no idea how busy it is now. But on our daytrip to Taunggyi and Kakku, we saw not one other traveller. The 2478 stupas at Kakku were deserted; it was only us and our lovely Pa-O guide. Bu let’s start from the beginning! It was our driver, Oscar, who recommended Kakku to us as a day trip from the Inle Lake. And one thing we learned in our weeks with Oscar: he was always right and he knew exactly what we liked. So we went. 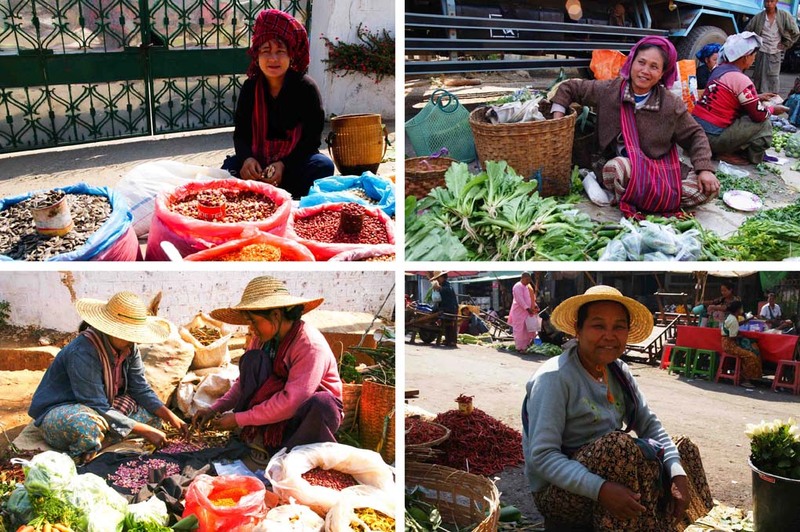 Oscar first drove to the town of Taunggyi, the Shan State capital, where a huge market is being held every five days. 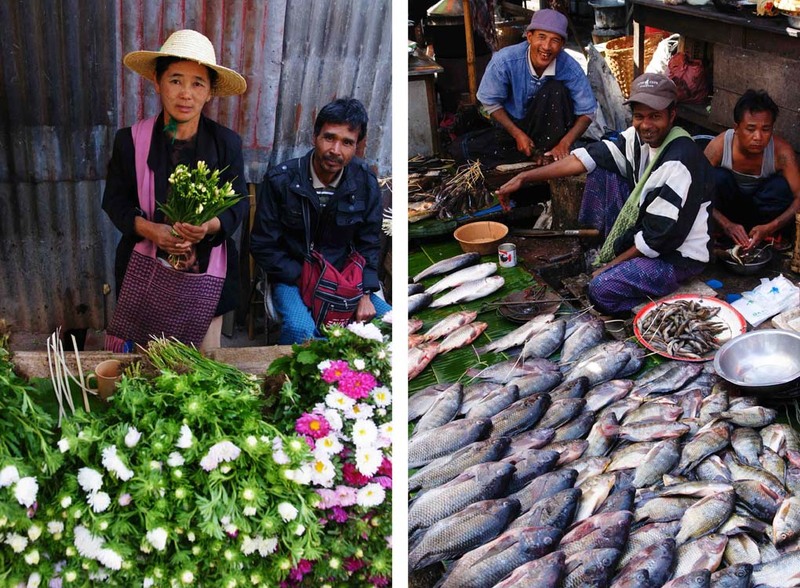 People from the surrounding villages come to buy and sell and that guarantees a colourful hustling and bustling. Women with bright clothing, different hats and bright towels wrapped around their heads were doing business like there was no tomorrow. 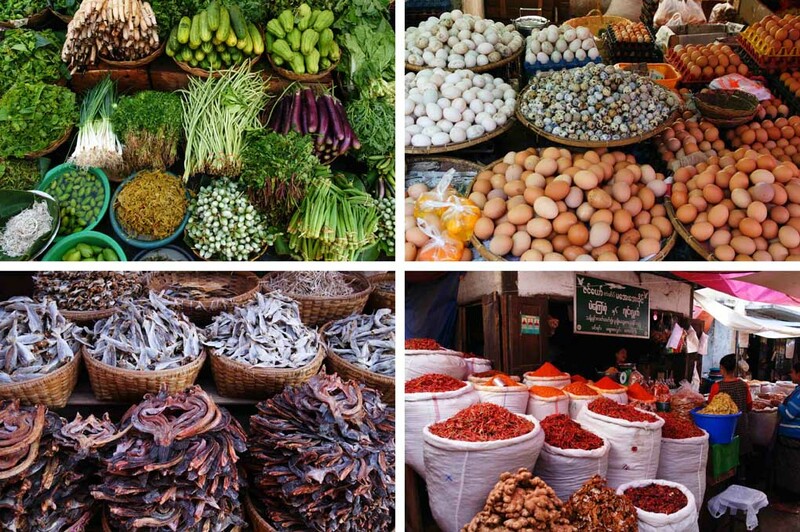 Flowers, chicken feet, fish, vegetables, fruit, spices and lots of things we didn’t recognize were being sold. The fruit and veggies were arranged like artwork, thus being impossible to resist. In between the transactions open trucks were fighting a way through the crowds, equally filled with people and goods, stacked high on the roof. But the best thing about the market was the atmosphere. Of course, this being Myanmar, that shouldn’t have come as a surprise. People were good-naturedly exchanging goods and money, bargaining and trying to persuade each other to buy that fancy chicken leg, fat fish or bright rose. And no matter how busy they were, they had always time to wave at us, make small talk (with Oscar as our translator) and have their photos taken. A great stop! After our market tour we registered at the PNO office and picked up our guide. Kakku can only be visited with a guide of the Pa-O tribe, since the site is being administered by the Pa-O. Our guide was great: she told us not only about the stupas and her culture, but also about herself. “I would like to have a husband”, she said. “But I also would like to make my own money and be a good guide. So maybe I’ll postpone marriage for a while.” The drive from Taunggyi to Kakku is about 1,5 hours. The road is quiet bad, but the scenery is lovely and we passed many small villages dotting the countryside. We even stopped to visit a traditional house on stilts and meet the family that lived there. And then we arrived at Kakku. Sprawling over a square kilometre are the 2478 stupas, standing close together in neat rows. From a distance they all look the same, also because of the metal spires crowning the towers. But every stupa is an individual masterpiece, with different colours, carvings, statues and bas-reliefs. So with 2478 stupas, there’s a lot to explore. The first stupas date back to the 16th century and many more have been added in the centuries after. Every period had its own architectural style and that’s what makes the stupas incredibly divers and interesting. Kakku is a bit out of the way, but it’s definitely worth the trip! You can easily arrange a day trip through one of the guesthouses or travel agencies in Nyaung Shwe, the main town on the Inle Lake. You can also rent a taxi. In Taunggyi you have to pay $3 to enter the Pa Oo region and $5 for the guide. The drive from Nyaung Shwe to Taunggyi is about 1 hour and it’s another 1,5 to Kakku. At Kakku there’s one restaurant, run by the Pa-O, which serves great food. 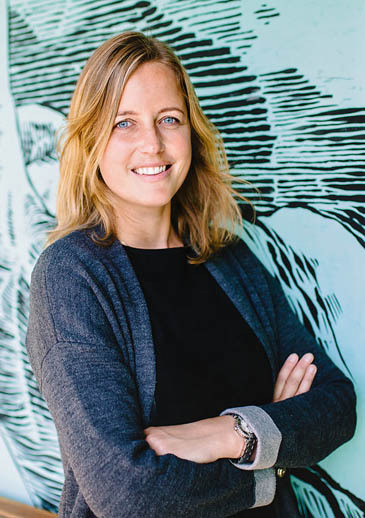 Bedankt, ik hoop dat je er tijd voor hebt!